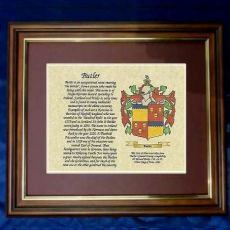 You can make a Family Crest from this page using the 'Quartered' Shield. 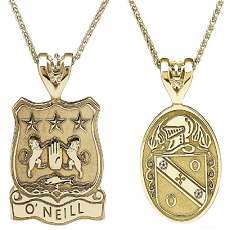 If you want to choose a different shield design then you can go back to the 'Make a Family Crest' main page to choose another design. 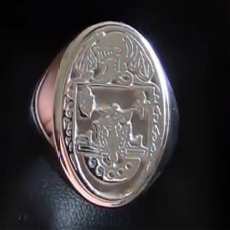 The Quartered Shield is often used for the joining of family names in marriage, with both names being represented in two each of the quarters. 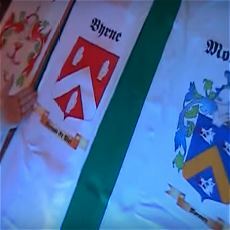 Choose the motto that will appear below the shield. You can insert your surname instead if you prefer or a country name. The maximum number of characters is 15 (including spaces!). 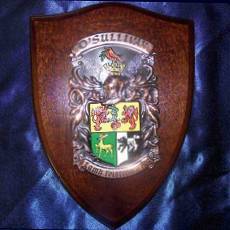 Choose the wording that will appear above the shield. This can be an alternative or second motto, or the surname or country. The maximum number of characters is 15 (including spaces). Leave this blank to prevent the upper ribbon being displayed. All Done? Ok then, Click this Button to Make and Save Your Family Crest! 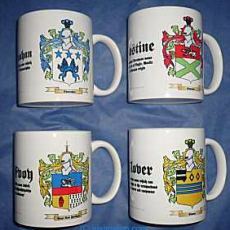 Show Off Your Heritage With Our Range Of Top Class Gifts For Your Family Name!